My 2 34weekers have had more school related issues (one in wrong year due to early arrival) than my 26 weeker. They could have been full term and had the same issues. I agree that some form of school assessment would be a great starting point but coen wasn't ready to access school effectively till he was around 7. Also the fact most prem babies are more seseptable to every bug going there needs to be a way to access the class work while recovering at home. It does seem a bit insane that children born prematurely are just abandoned into the education system. The whole system is broken, to be honest. If he is physically and cognitively not coping with the rigours of a full school day, due to his health needs then they SHOULD be able to help him. That's why the "one size fits all, kids start school at x age" thing doesn't work. I think the age they start kids in this country at school is too young anyway, then you add the extra needs of a little one like yours and they wonder why some children struggle? I felt so sad reading your post, so frustrating for you, and hard for him! I totally agree and often rant that if I still lived in Australia, or if we lived with our relatives in Luxembourg none of this would matter as 4 is just too young to start school! It's always hard in these situations when we talk about gestational age because sometimes it doesn't make a difference, and preterm is preterm. I just think that prematurity doesn't end once they're discharged from NICU and there needs to be a plan in place for children like ours. Thank you, I find this current argument frustrating as its not just about skipping school years, its the impact premature birth has on development as a whole. And it doesn't just "get fixed" More support for children, parents AND teachers is necessary because lets face it as more pre term babies survive and thrive there will be more at school not less. I had never really considered any of this before. You are so right though. Really interesting post and something, like Mummy Barrow, I'd never really considered, having been lucky enough not to be in this situation. As Donna says below, an IEP may help. Many children have these for a whole variety of reasons, so he would almost certainly be entitled to one. It won't single him out, but will just him give him a little bit extra support - along with about 20% of the kids in his school who will also have them for different reasons. see I know about statements but anything else. And his teacher didn't suggest anything, I shall do some more research and go better informed after half term. This is the thing, I had no idea IEP's existed. The teacher hasn't made any suggestions to me. I shall go better informed and fight. It shouldn't be a fight. 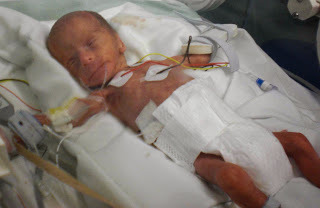 I think every case should be based on the individual, my goddaughter was born at 29 weeks and weighed 1lb (a June baby), yet she went to school on time, if a little smaller than her peers and flourished.